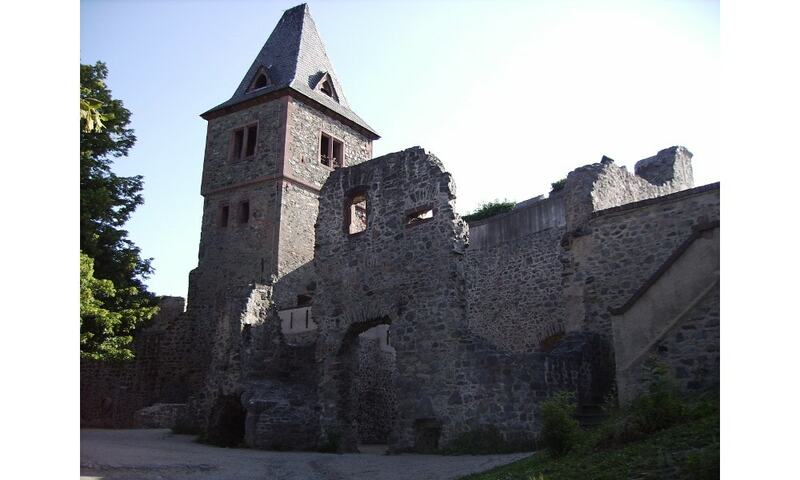 Frankenstein Castle is a hilltop castle in the Odenwald overlooking the city of Darmstadt. It is alleged that this castle may have been an inspiration for Mary Shelley when she wrote her 1818 Gothic novel Frankenstein. In 1673 Johann Conrad Dippel was born in the castle, where he was later engaged as a professional alchemist. There are rumours that during his stay at Frankenstein Castle, Dippel practiced not only alchemy but also anatomy and may have performed experiments on dead bodies that he exhumed. Furthermore, a local cleric would have warned his parish that Dippel had created a monster that was brought to life by a bolt of lightning. There are local people who still claim today that this actually happened and that this tale was related to Shelley's stepmother by the Brothers Grimm, the German ethnologists. However, none of these claims have been proven to this date. Despite being a well-known tourist destination, Frankenstein castle has never been developed into a commercial tourist attraction on a large scale. Normally the castle is open to the public until late at night.